What really happened after the clock struck midnight? Jane Montjoy is tired of being a lady. She's tired of pretending to live up to the standards of her mother's noble family--especially now that the family's wealth is gone and their stately mansion has fallen to ruin. It's hard enough that she must tend to the animals and find a way to feed her mother and her little sister each day. 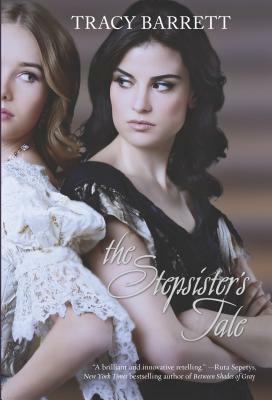 Jane's burden only gets worse after her mother returns from a trip to town with a new stepfather and stepsister in tow. Despite the family's struggle to prepare for the long winter ahead, Jane's stepfather remains determined to give his beautiful but spoiled child her every desire. When her stepfather suddenly dies, leaving nothing but debts and a bereaved daughter behind, it seems to Jane that her family is destined for eternal unhappiness. But a mysterious boy from the woods and an invitation to a royal ball are certain to change her fate.... From the handsome prince to the evil stepsister, nothing is quite as it seems in Tracy Barrett's stunning retelling of the classic Cinderella tale.